Scientists have cleared Alzheimer’s plaque using a revolutionary light and sound technique – paving the way for a potential cure for the disease. 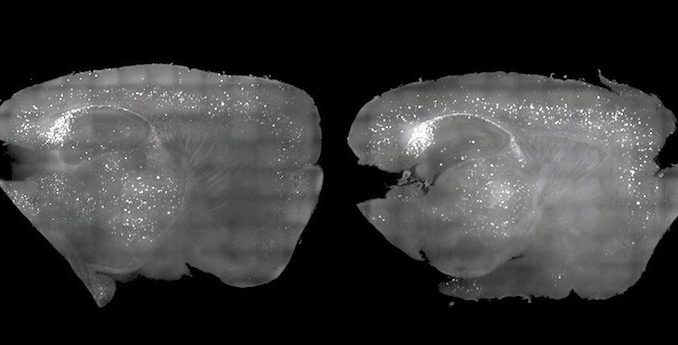 Clumps of harmful proteins that interfere with brain functions were cleared in mice using nothing but light and sound. Sciencealert.com reports: Research led by MIT has found strobe lights and a low pitched buzz can be used to recreate brain waves lost in the disease, which in turn remove plaque and improve cognitive function in mice engineered to display Alzheimer’s-like behaviour.